Everyone, Christians included, is susceptible to the allure of lotteries. The slogans are pitched to us daily. Singers croon about the freedom that instant wealth will bring, as pictures of high-priced cars, holidays on exotic beaches, or beautiful houses are flashed by us. Lotteries promise a life of utter enjoyment unburdened by cares. A win at Lotto 6/49, or in the Wintario, or at the B.C. Express or the Lottario may mean tens of thousands or even millions of dollars. All for as little as a dollar. The promotions of the many different lotteries, most of them now brought into place by direct government involvement, are trying to entice more and more Canadians to buy into a chance to win everything their hearts ever dreamed of – freedom, luxuries, entertainment, travel, clothes, cars, houses, the world. Lotteries present issues to us on several levels. They are a challenge to us as individual Christians. They also present issues for us as churches. And they face us with issues as citizens. We should seek to deal with them on all those levels. Lotteries challenge us as individual followers of Christ. Will we follow the crowds and buy into all the kinds of tickets now being promoted? If we are business people, will we sell lotteries? Some are doing it. The enticements to be involved are very strong. To many persons, lotteries look harmless and entertaining. But Christians must ask themselves some serious questions about involvement with lotteries. For one, can I buy something (hoping to be a winner) which is based on many losing so a small number can win? Does that not fly in the face of Christ’s call to us to look after each others’ interests and not just our own (Phil. 2:4)? Can I buy into something whose strongest appeal is to greed and self-centred interests? Lotteries are promoted because of the good their revenues will do for sports or cultural activities, but greed is behind most of the buying of tickets. “Everybody wants to win money and quit their jobs. It’s quite simple, I think, that everybody is greedy,” one ticket buyer said. Christians must recognize this as an issue. The manager of Saskatchewan’s Super Loto a few years ago said quite candidly, “We base all our marketing strategy on greed. It’s our big selling point.” Such an attitude is not the work of the Holy Spirit within us (Gal. 5:22-24). Christians also have to deal with the question of stewardship. Is it right to spend money on something which has no promise of return and caters to socially questionable attitudes? We must always answer to God for the stewardship of the resources He has placed in our hands. We live in a world in which many go to bed hungry. Worthy causes – missions, Christian ministries, schools, evangelistic projects – all need our funds. Spending money on lotteries and gambling isn’t compatible with a Christian sense of stewardship. University of Manitoba actuarial professor Earl Rosenbloom put the odds thus: “When you play long enough, the probability of losing all you’ve got is 100%.” “Offer yourselves as a living sacrifice to God, dedicated to his service and pleasing to him,” the apostle Paul writes in Romans 12:1,2. Individual Christians must also face the reality that gambling or buying lotteries can be addictive to themselves or to others. A Winnipeg pastor describes an addiction as “a basic distortion of value judgements, where the addict is willing to invest increased resources for declining satisfaction.” It is, as someone else put it, “a disorder characterized by a chronic and progressive inability to resist.” Few may feel they are at such a place, but individual Christians always have to ask themselves whether they run the risk of becoming addicted to a thing, or whether, if they indulge in the questionable activity, they place a stumbling block in the path of someone else who may be in danger of becoming addicted (Rom. 14:13). If indulging in lotteries is catering to our fleshly nature, have we a right to do it? The answer should clearly be no (Rom. 13:14). Because gambling has caused so much grief, and because lotteries have become so pervasive in our culture, we as a fellowship of Christians must do more teaching. A survey made in the U.S. suggested that even among conservative Bible church members, 33% participated in gambling and lotteries. The same work (Tom Watson’s Don’t Bet On It, (Regal Books) called gambling a form of idolatry. Our worship of and trust in money are key issues involved in gambling and lotteries. If that is so, there is teaching to do. Such teaching should deal with a biblical framework that can help us understand why lotteries are wrong for Christians and also what gambling and lotteries are doing within society. It should touch on the attitudes that ought to characterize Christians, the stewardship of our material possessions, and our primary allegiance to the cause of Christ and His kingdom. Charles Colson has written a column which put some of the issues thus: “The new American dream of a free lunch has infected every level of society: the poor man who spends his grocery money on lottery tickets; the rich man who trades insider information to cheat other investors; the middle class consumer who has dug himself into a bottomless pit of credit card debt; and the government that spends trillions it does not have, heaping debt on future generations.” In as helpful a way as possible, churches should accept the challenge of teaching why participation in gambling and lotteries is wrong for Christians. Lotteries also raise the issue of joint witness and common action. Christian communities should see the matter of lotteries as something about which they can take action together. They can agree together not to buy lottery tickets. It will be a great help to the individual if he or she is part of a group which agrees together not to buy the tickets. Individuals can be encouraged by the knowledge that the money which might have been spent on tickets (where the outcome of the expense is uncertain) can be given to a Christian cause (where the use of the money is certain). They can also agree not to accept the use of funds which are generated by lotteries. This is not so easily done, as we all know. Lotteries generate substantial sums of money which are distributed by government-created agencies for all sorts of causes. Church-related institutions often stand to benefit from such funds too – and are, in fact, taking more and more of it. We should speak against taking it, however, because of the way in which it is raised. It does not take a long memory to recall that in many regions lotteries were once justified because of the good they would do for community and cultural groups, good which, however, would be hard to support through ordinary tax revenues. Many, even though they did it reluctantly, gave in to lotteries because of such uses. 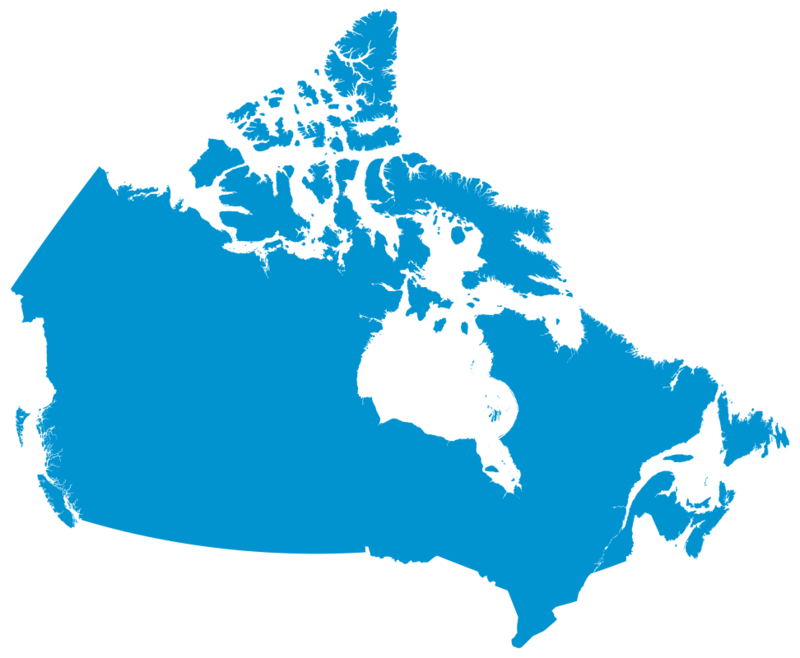 Increasingly, however, governments in Canada as elsewhere have been taking the monies generated through lotteries or casinos directly into general revenues so that the funds will be available for other needed programs. It is becoming clear that lotteries have turned into just another way of taxing people. Christians should make their opposition to lotteries clear to their governments. For one, we need to challenge the socially detrimental attitudes that lotteries foster. They encourage wanting a lot for very little. They are promoted in deceptive manners. They encourage people to hope in luck rather than in productive work. They encourage greed. They do not make a society richer, rather, they impoverish. 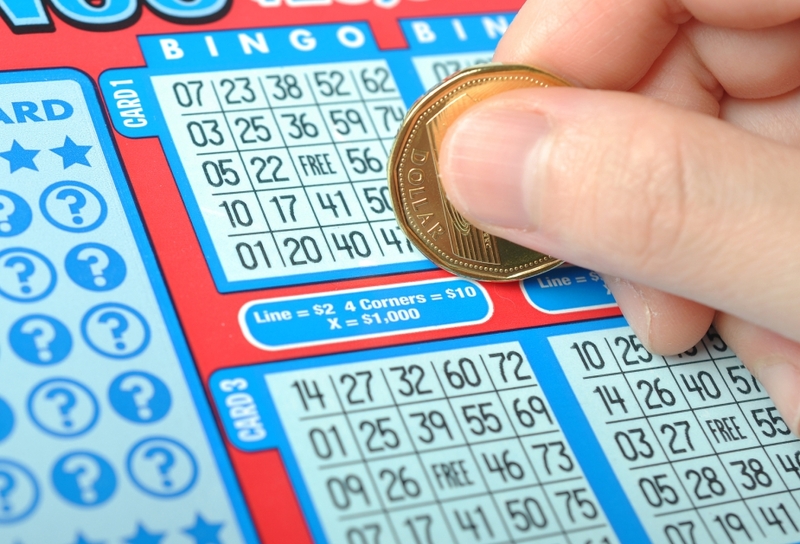 There have been a number of studies which have shown that while the poor tend to spend a higher percentage of their income on lotteries than do middle or high income persons, the benefits of lotteries tend to go to higher income persons, because these are the ones who use the sporting and cultural organizations that get the money. Thus, even as a tax, lotteries work badly, taxing the poor disproportionately for the benefit of the better off. Additionally, as a tax, lotteries are also very inefficient. Less than 40% of the money they generate comes back to the causes they are to support. About 47% is “returned” as prize money. The rest is used up for administration and promotion. Despite their inefficiency, governments like lotteries because those who buy the tickets do so voluntarily. It may be a tax, they tell themselves, but people pay it without compulsion. Yet governments are more actively involved in lotteries than they often acknowledge. Through their lotteries’ commissions, they actively promote the sale of tickets, and encourage the development of new lotteries so that the revenues can continue to go up. One of the new frontiers some are predicting for lotteries will be games developed around sporting events. Some are already in place. Thus, while gambling on sporting events was a major criminal act not long ago, under government sponsorship it is now promoted. It is on this front that governments should be most vigorously challenged. Christians should insist that if governments are going to “permit” lotteries, they should at least cease “promoting” them. There is no morally defensible basis for government promotion of an activity which can be demonstrated to be as socially regressive as gambling. Christians need to be telling them that. The words of the apostle Paul in 1 Timothy 6:6-10 are a good guide as Christians think of a response to lotteries. They offer a direction that we need to heed: “But godliness with contentment is great gain. For we brought nothing into the world and we can take nothing out of it. But if we have food and clothing, we will be content with that. People who want to get rich fall into temptation and a trap, and into many foolish and harmful desires that plunge men into ruin and destruction. For the love of money is a root of all kinds of evil. Some people, eager for money, have wandered from the faith and pierced themselves with many griefs.” The answer to the appeal of lotteries and gambling is found in a greater love, a love for Christ. When that is paramount in our lives, lotteries and gambling will have no place.